Since the disappearance of His Divine Grace Srila Bhaktisiddhanta Saraswati Thakur, the famous song of Srila Narottam Das Thakur—Sri Rupa Manjari Pada has become synonymous with Srila Sridhar Maharaj and is often thought of affectionately by the senior disciples of Srila Saraswati Thakur as “Sridhar Maharaj’s song.” Why? This song composed by Srila Narottam Das Thakur is considered as the highest expression of spiritual aspiration in the Gaudiya Vaishnava Sampradaya and venerated by the whole spiritual community as the exclusive prayer of pure devotion. At the time of his passing Srila Saraswati Thakur called for Srila Sridhar Maharaj and requested him to sing this song. 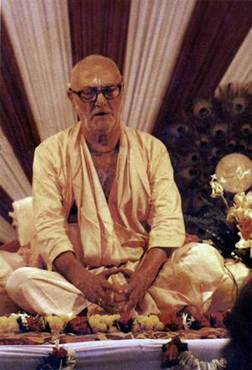 Srila Sridhar Maharaj hesitated considering himself a poor singer and seeing his hesitation Saraswati Thakur’s secretary instructed Pranavananda Brahmachari (later Srila Bhakti Pramode Puri Maharaj) to sing instead. 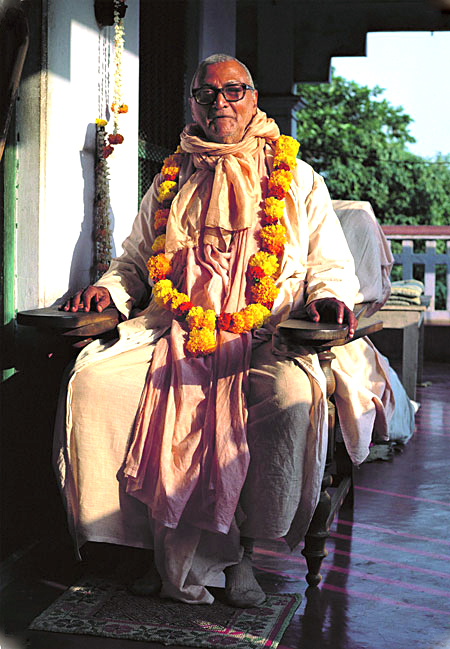 However, Srila Saraswati Thakur made him stop saying, “I do not wish to hear the sweet sound but I want to hear the pure devotee.” Srila Sridhar Maharaj sang. Shortly after this incident Srila Bhakti Pramode Puri Maharaj wrote a letter to Srila Sridhar Maharaj stating that all those who witnessed this considered it the mystical transference of divine power from Srila Saraswati Thakur to Srila Sridhar Maharaj giving him entrance into the eternal spiritual entourage of Srila Rupa Goswami and conferring the mantle of the Rupanuga Acharyya upon him. 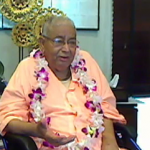 Srila Puri Maharaj declared, “I consider you as Rupanuga Dhara” (the conduit of the holy current of the Rupanuga line). 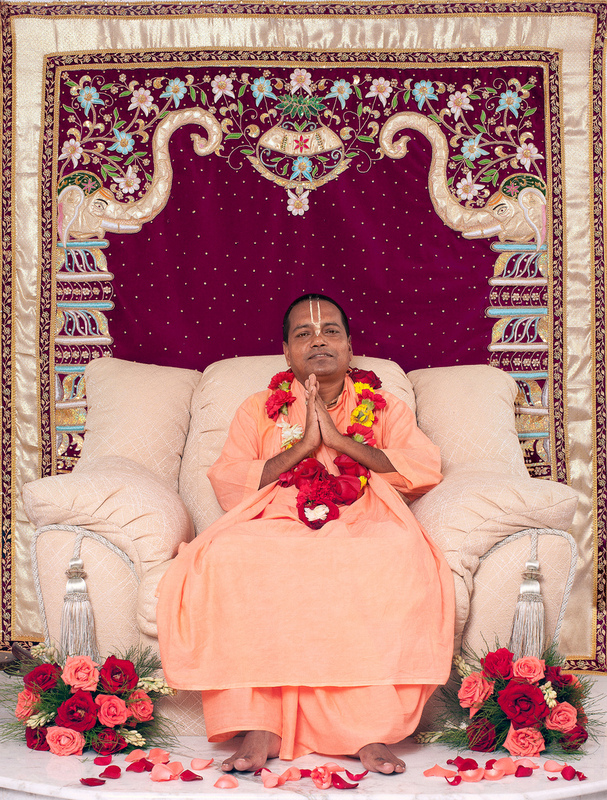 Since that time in the Sri Chaitanya Saraswat Math, Sri Rupa Manjari Pada was sung only by Srila Sridhar Maharaj on very special days and now following that tradition, Srila Bhakti Sundar Govinda Dev-Goswami Maharaj the chosen successor of Srila Sridhar Maharaj, sings that holiest of holy songs on the disappearance festival of Srila Sridhar Maharaj. 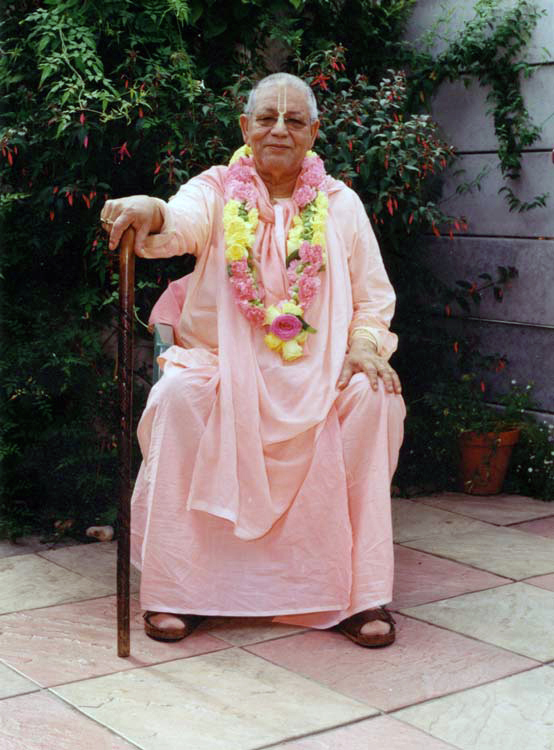 To hear that song from the lotus lips of His Divine Grace can give us the greatest fortune of our spiritual life—the aspiration for real service in the line of Srila Rupa Goswami—a chance to serve the Rupanugas.